The power of cloud computing has democratized access to advanced data processing capabilities for businesses of every size. It was not long ago that small- to medium-sized organizations experienced substantial challenges in successfully competing with large corporations in their market segments. Moreover, despite access to these new capabilities, many businesses still find taking advantage of these technologies difficult. The benefits of matching the service capabilities of larger competitors at a fraction of the cost are evident. However, getting started can seem intimidating. Amazon Connect was developed to solve this problem when it comes to customer service. Taking care of your customers before and after the initial transaction is essential. Amazon Connect is a self-serve, contact-center software solution derived from the same technology used by the retail giant to provide service experiences that solve customer service issues and encourage loyalty. The rapid growth of Amazon.com means that Amazon Connect has had to be simple, stable, and scalable from the start. The familiar graphical user interface (GUI) of Amazon Connect put its power within reach of the non-expert end-user. Using well-established conventions of drag-and-drop and copy-and-paste, administrators can go from a detailed flowchart of call-center procedures and outcomes to prototyping and implementing new capabilities quickly – all without mastering the intricacies of coding. They can create contact flows, manage users, and track the precise metrics needed to analyze performance. Amazon Connect’s scalability allows system capacity to rise with demand, while costs only rise with increased usage and taper off during off-peak times. Amazon Connect’s powerful configuration options allow it to be customized into the ideal call center management tool for a variety of customer service roles. Agents, for example, do their jobs with the Contact Control Panel (CCP) – and Amazon Connect User Settings allow the creation of an intuitive, step-by-step interface that puts the tools agents need in the order they will need them. Headset connectivity: make sure the headset is recognized and works properly, and adjust connection settings if necessary. Desktop notifications: make sure browsers are not in “incognito” mode, so desktop notifications can be displayed. Microphones: make sure mic settings are always enabled. Dialing: Check in “Settings;” you can set the softphone to dial a DID – direct inward dialing – desk phone if needed. Be sure to enter the correct extension when configuring the setting. Use a Softphone with a headset or a physical handset; whatever suits the agent’s use case or preference. Configure an agent’s interface so they can indicate their status (available, offline) to always know the current status of call center staff. Also, is there a specific list of transfer contacts that need to be available at the simple push of a button? Configure those right into the Contact Control Panel interface. You can enable a transfer to another agent by creating a “Transfer to agent contact flow.” You can transfer to another call queue by creating a “Transfer agent to queue contact flow.” “Technical Support” or “Accounts Payable” are two examples of queues agents may need to be available. Often agents have after-contact work to complete before taking the next call in the queue. Configure a dialog box to request these actions be completed before another call can be connected. 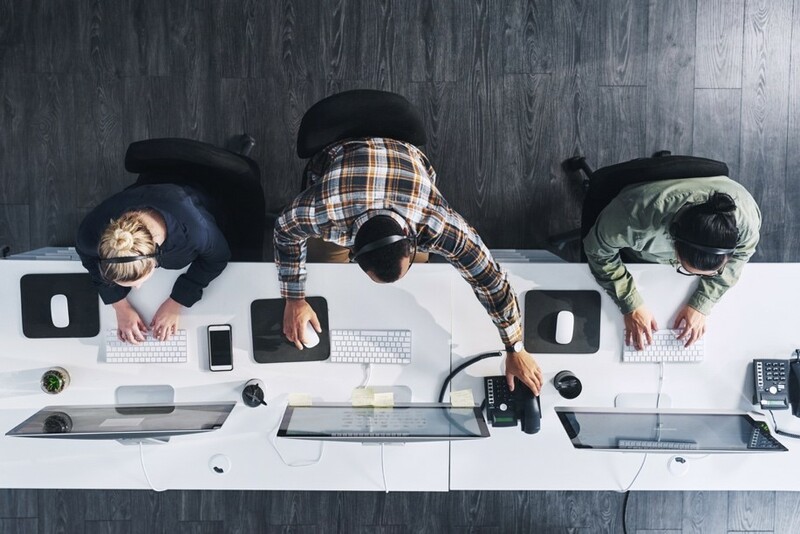 If you’re still relying on an older PBX system that you lack the ready access to configure, Amazon Connect can revolutionize the way you provide customer service. Learn more by getting in touch with CloudHesive at 1-800-860-2040 or through our online contact form.